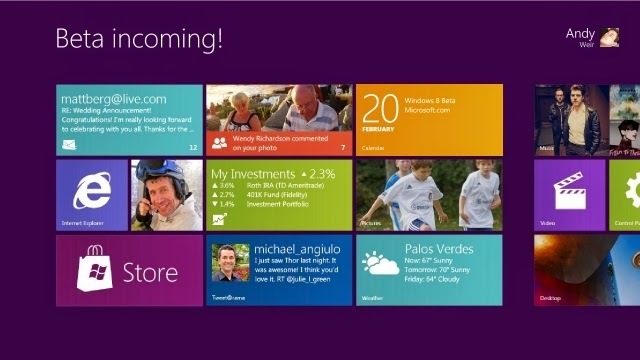 At its BUILD conference earlier this year, Microsoft released a preview version of Windows 8 to software developers and the public, but the wider availability of a pre-release and more feature complete version of the OS has remained something of a mystery, with Microsoft remaining frustratingly tight-lipped on the subject. However, sources close to the company have now revealed to The Next Web that a public beta of Windows 8 will be made available at the end of February. Mobile World Congress kicks off right at the end of February, and it’s unlikely that Microsoft would release the Windows 8 beta there; Windows Phone will surely be the primary focus of the company’s MWC efforts. It’s more likely, therefore, that we’ll see the beta released at least a week earlier, perhaps around February 20 but this is pure speculation at this point if the rumor about a February date holds true. The exact feature set of the beta has not yet been finalized, but given that it will be a public release, it’s likely to be reasonably complete.